Home / Uncategorized / Are you making these 3 mortgage calculation mistakes? 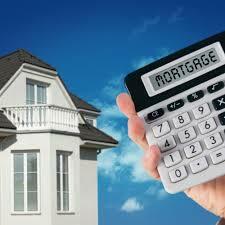 These days you can find a handy little mortgage calculator on just about every home buying site. However, those calculators are only as good as the numbers you plug into them. A calculator designed to show you your monthly mortgage payment will provide you with an estimate of how the loan’s principal and interest breakdown on a monthly basis — but it can’t show you what your properties taxes will be, HOA costs, or your homeowner’s insurance policy. Many potential homebuyers forget to factor in these additional costs and sorely miscalculate how much money they’ll be shelling out each month. Mistake #2: Not knowing your credit score. There’s a reason your creditors and banks offer you free credit reports. You not only need to keep an eye on it, but understand your credit score as well before applying for mortgage financing. Your credit score impacts the interest rate you’re likely to receive on your loan. And that interest rate can mean a difference of tens of thousands of dollars saved or spent over the life of your mortgage. Mistake #3: Not shopping around. Not all lenders will give you the same terms on a loan. So if you don’t want to pay the highest rate available, it’s definitely worth the effort to find out if you could secure a better interest rate with one lender over another. Before deciding on one institution to work with for your mortgage, ask for quotes from a number of different banks and lenders. Are you making these 3 mortgage calculation mistakes? Don’t go through the home buying process alone. Contact Simply Property Management – Paielli Realty, Inc. when you’re ready to buy a home in Las Vegas or need an expert Las Vegas property management company to look after your home.